As per the recent post about Anticipated 2010 Books revisited, here are some quick thoughts about four such, plus a small press series debut that will appear in 2011 and turned out to be a big mismatch with me. 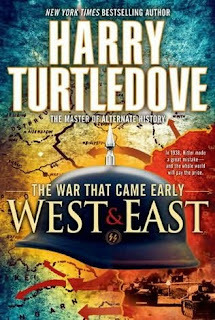 FBC Review of 'Hitler's War" and of "The Man with the Iron Heart"
I liked Hitler's War, the series debut a lot, it's among the best Turtledove I've read and as fine a WW2 historical novel with a slight twist (WW2 starts in Sept 1938) that expands to quite different outcomes as it gets, but the rest is pitch perfect period, all told from the point of view of "grunts" - mostly soldiers and non-coms, with a submarine captain and a Stuka pilot Lt the highest ranked pov's - and two special women, a middle age US socialite from Philadelphia that gets stuck in the Reich and a 17 year old Jewish girl from Munster. 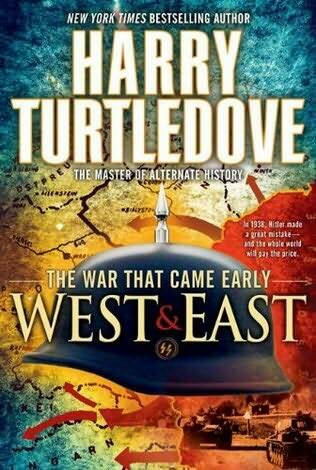 Recommended by me and for all mil-fiction/alt-history fans who like a "grunt's eye of events". 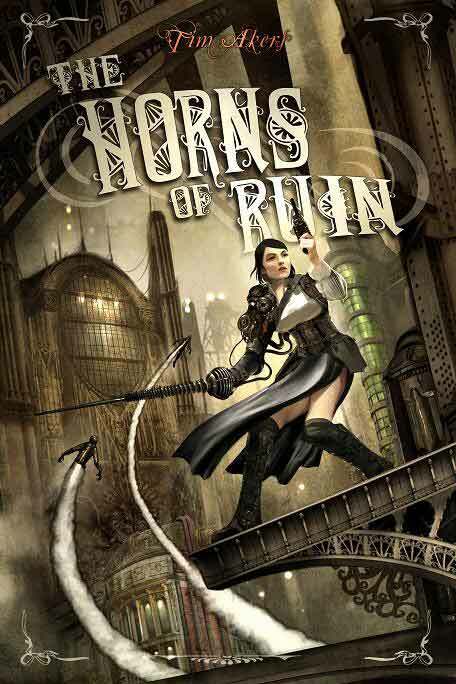 *********************************************************** FBC Review of "Retribution Falls"
Not on par with Retribution Falls but it has its moments - all the crew interactions in solving their personal issues from the last volume are superb, as are Frey's interactions with Trinica. The writing depends on gadgets and this was not a surprise since the author' short fiction I have read before had the same issues and made me a bit wary about this novel. Emotional remoteness almost verging on solipsism and the worst flaw of all, plot dependence on "my magic is bigger than yours" typical of run-off-the-mill fantasies - here of course it's tech magic but there is the destined boy and all nonetheless. Instead of The Quantum Thief, I would also direct you to Liz Williams considerably superior "Banner of Souls" or 'Winterstrike" which have similar themes too though they eschew the mumbo-jumbo from this one. *********************************************************** FBC Review of "Heart of Veridon"
Basically The Horns of Ruin is a comic strip disguised as a novel and set in a steampunk/fantasy world and the inventiveness of the author reads like unnecessary baggage; better do a straight out Superwoman in Gotham than this elaborate world wasted on such thin and totally lacking in depth novel. If you are a fan of comic-book novelizations or of action-only UF and you do not mind an elaborate setting, this one may be for you. Disappointing; the world is supposedly exotic but has no depth, the writing is ok in a thriller-ish mode, fast enough, but very bland characters, very disjointed plot and all depending on supposedly long going (nine centuries or so) conspiracies that are based on everyone being dumb and on coincidences; the extract that I read and made me try this one gives a very misleading impression of what comes after. Also for fans of Richard Patterson and other "no-characters, all-action" thrillers with an exotic background. 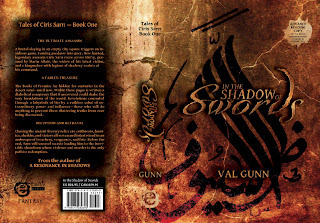 I like the V. Gunn book cover, seems sparsely striking. I haven't read any R. Patterson books. Though I'm tempted to give this book a try. 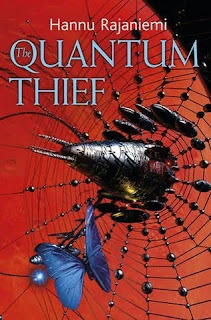 So 'The Quantum Thief' disappointed you? Ah, well. Takes all sorts, I suppose. But a bit better than Stross and Vinge, though inferior to Morgan? Morgan: 0 Hugos, 0 nominations. As for the rest, I happen to strongly dislike the prose of Mr. Vinge and dislike the one of Mr. Stross at least as far as recent novels go since I kind of liked Festival of Fools and Iron Sunrise and even at a stretch Glasshouse though it has some of the problems of TQF. 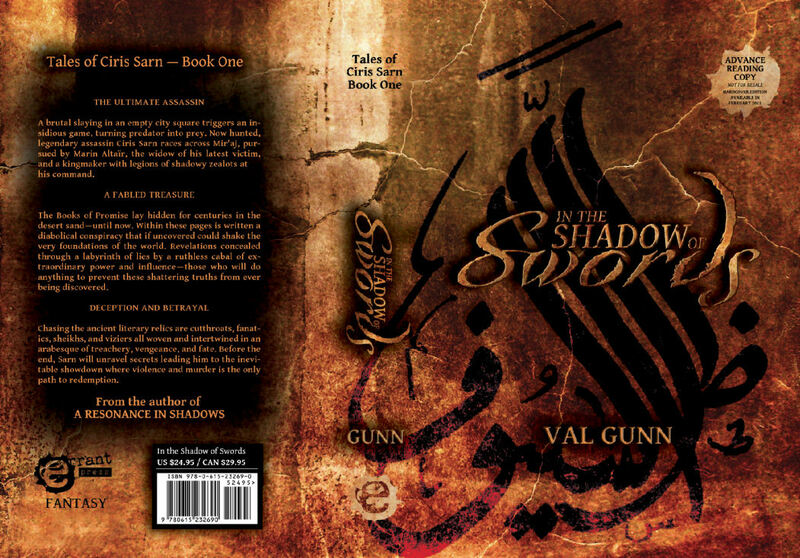 I too find the cover for Gunn's book intriguing-much different than most standard fare you see on the shelves. A bit like the Prince of Nothing series. 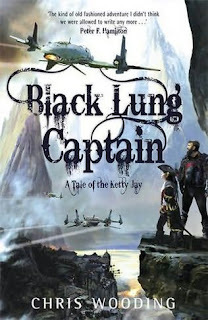 The Black Lung Captain cover is also very good as well. Wow that is a bummer on Horns of Ruin. I absolutely devoured Aikers' Heart of Veridon, perfect for my pulp fantasy appetite. I still might have to pick Horns up. In the Shadow of Swords you mentioned that the ending was somewhat redeeming. What do you mean by that? Shadow of Swords has a pretty intriguing ending with some unexpected developments that may promise a subtler story next. It has also a lot of closure so it offers a reasonable reading experience from that point of view. Me and my bro liked Black Lung Captain better than Retribution Falls, for whatever it's worth.